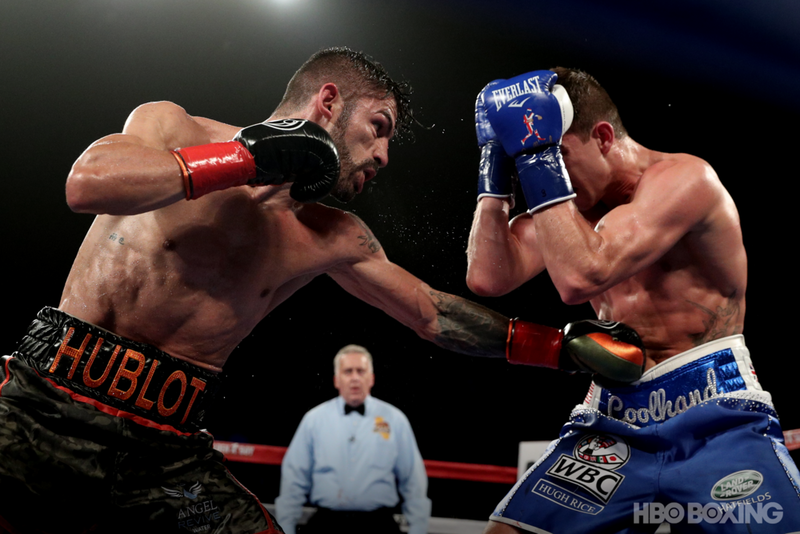 INGLEWOOD, Calif – For the second week in a row, a close fight ended with a split decision. For the second week in a row, the result of that split decision left at least some fans and observers disappointed. 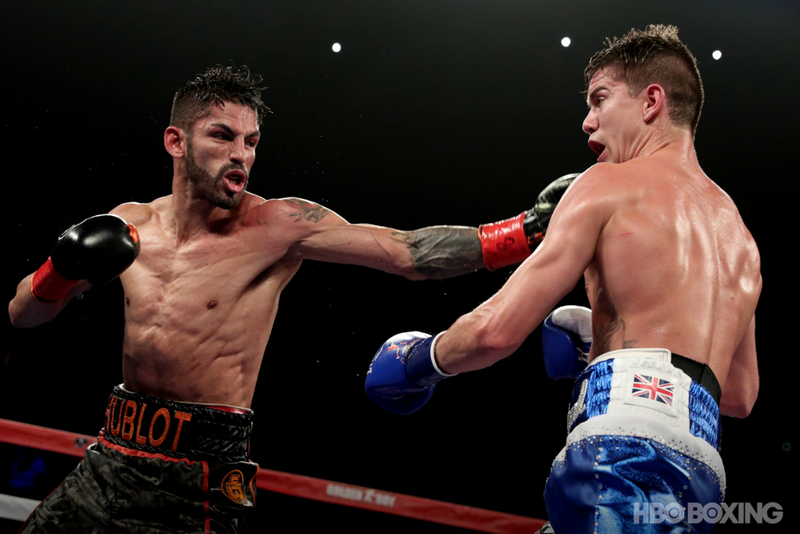 But, unlike last week’s middleweight clash between Gennady Golovkin and Canelo Alvarez, there was no bizarre outlier score at the end of Luke Campbell’s lightweight title challenge of Jorge Linares. 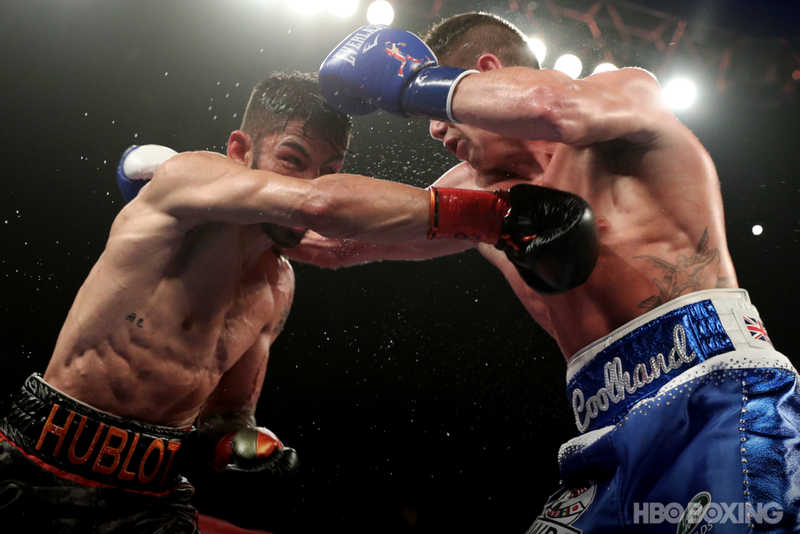 All three cards, while differing in the details, agreed that Linares and Campbell had fought 12 highly competitive rounds that had yielded a legitimately close decision, and by scores of 113-115, 114-113 and 115-112, they awarded that decision to Linares. Early on, it did not appear as if their contribution would be needed. After a first round in which England’s Campbell (17-2, 14 KOs) and Venezuelan Linares probed each other’s defenses – Campbell perhaps shading it behind his lanky southpaw jab – defending titlist Linares exploded into life in the second. A left hook landed over Campbell’s jab, and then another hook thudded into Campbell’s face as the Englishman sought to step forward with a left hand. 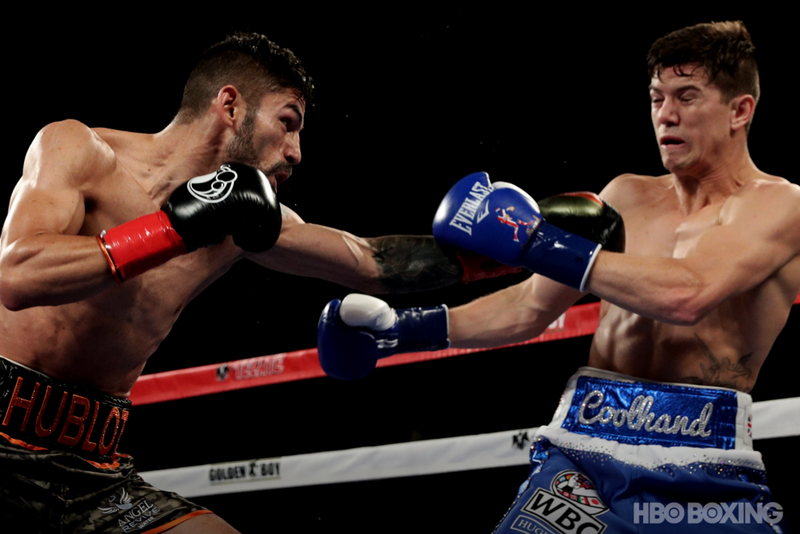 Then, suddenly, the shorter Linares (43-3, 27 KOs) stepped forward with a three-punch combination, culminating in a short right that dropped Campbell to the seat of his pants. The Briton beat the count but he was cut beneath his right eye, and Linares ended the round firing ripping combinations to body and head. 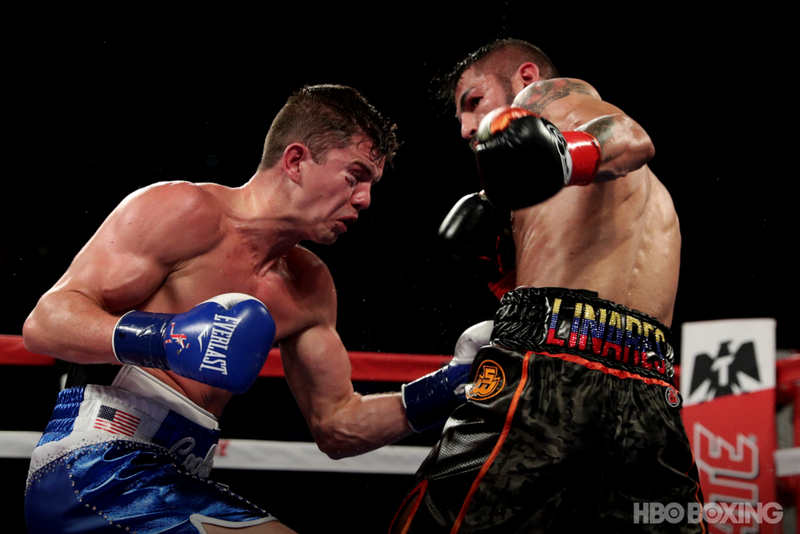 When Linares opened up the third in similarly fast and furious fashion, it looked as if Campbell might be facing the prospect of an early night, but he began to recover his poise as the round progressed, and in the fourth, even though Linares again came out fast, throwing rapid fire jabs, Campbell took charge over the final two-thirds of the frame. He used his reach advantage to great effect, spearing Linares with his long jab and using it to set up left hand power punches to the Linares body. Campbell now was drawing on all the experience and ability that had taken him to an Olympic gold medal in 2012, and in the middle rounds began to assert control. 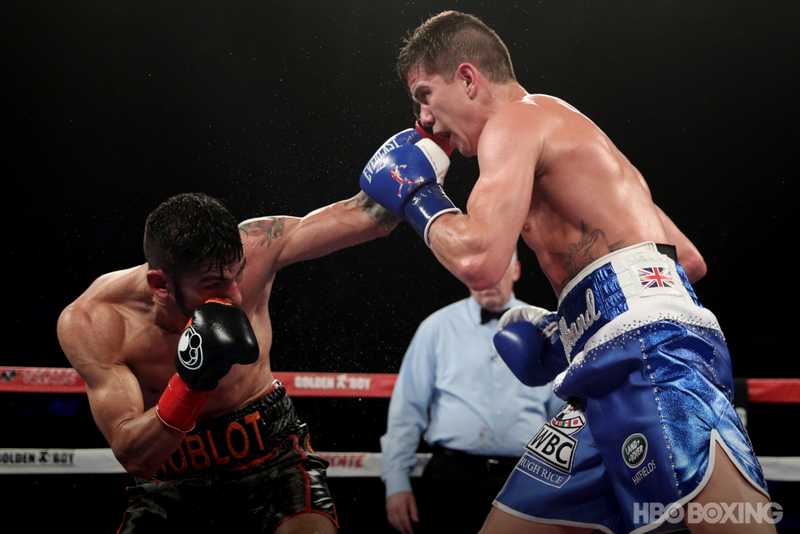 Linares was struggling with the range, Campbell making full use of his height and reach to keep the Venezuelan at the end of straight punch after straight punch; and while Linares continued to plow forward, he was no longer able to reach his target with the same effectiveness as earlier. But although Campbell was steadily asserting control, he was by no means running away with the contest. 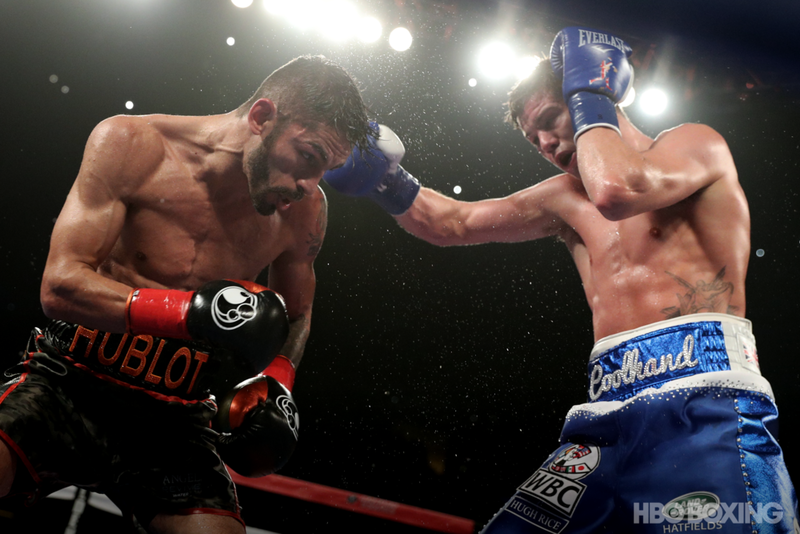 Linares was in every round, and managed to pull out a round or two in the middle of the contest to ensure that as the bout entered its final quarter, while he had ceded the lead on the scorecards, he was within striking distance. Suddenly, Linares was once more at a range that worked for him. He opened up the round with a fast combination, and closed it with one, two, three right hands in close succession and then a fourth just before the bell. 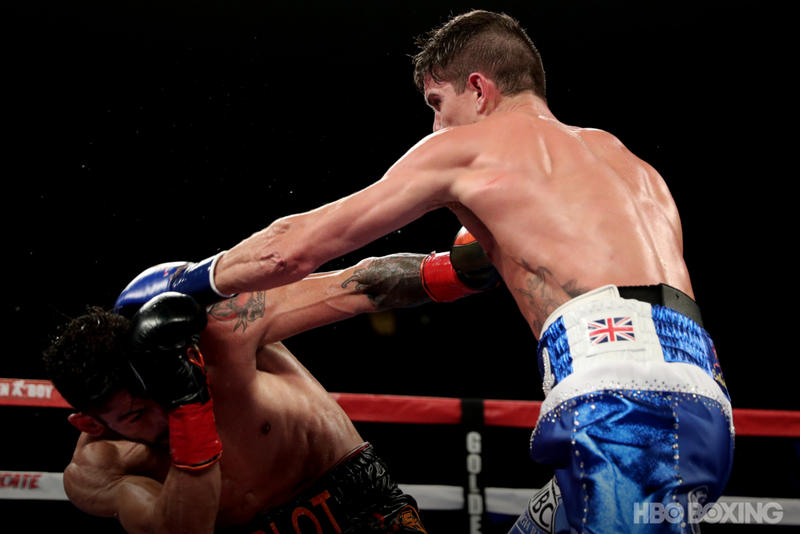 In the eleventh, Campbell was oddly quiescent; Linares had now taken away his jab and was firing his own jab rapidly and firmly to Campbell’s midsection. 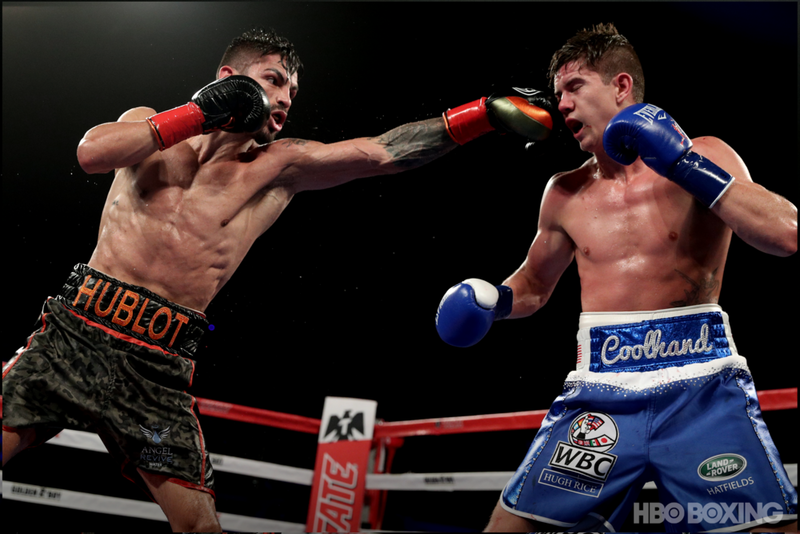 In the 12th and final round, he stepped up his effort yet more, and while Campbell fired back in return, catching Linares with a hard counter hook, the Venezuelan ended the round looking confident, bouncing on his toes and firing a combination as the bell rang. CompuBox statistics underlined the closeness of the contest: Campbell landed exactly one punch more than Linares over the course of 12 rounds – 141 to his opponet’s 140 – but he also threw 110 more in the process. Campbell was the busier boxer throughout, but Linares’ explosive combinations found their target with greater accuracy. Campbell was deflated after losing his first world title tilt, all the more so for the fact that he thought he won it.